Planning a Wedding is easy! It is easy when you have the time, when you have done it before and when you know all the steps from beginning to end, when you know all the right vendors. So if you feel overwhelmed it is ok! I am here to guide you and support you and do all for you so that you can just dream, ask and see it happening, but most important to enjoy your Engagement and the Planning Process. You have always dreamed on your wedding day, you and your fiancé know each other’s likes and preferences so my first advice is to start putting together a list of things are important to both of you so that you can then do the following next steps. Write down everything!Nnot only the standards of “good food, good drinks, good music”, literally make your wish list! 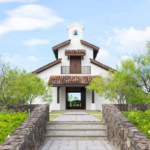 Did you always dream of getting married at a romantic chapel ceremony, in a mountain surrounded by beautiful views and nature, a cool barn or a spectacular ballroom? Decide if you want to get married in your hometown, or maybe in the city or if you want a destination in Costa Rica or if you always dreamed to have your wedding in Cape Cod where you always go together on vacations, or may be in the city for a full Boston experience for your guests. Do you want a day celebration or do you want an evening and night reception? Do you want a party all night or is 10pm end time good enough? And last but not least, put together your Pinterest or list of photos with your dream wedding look, tables, flowers colors and more! Your wishlist will make your next step so much easier! In order to have a clear path leading to the budget and to finding your wedding location, you need to know how many people you will invite. This will allow you to narrow down the wedding venue and to set a realistic budget. You do not have to invite everybody if you do not have the budget to do it. My best advice is to create two lists – one with Plan A, which will be every person you will definitely invite and a Plan B list that will be your waiting list. Ok, so at this point you know what is most important to you now, and how many people you estimate to have, now, based on your wedding location you should spend some time looking for the venues that have all those qualities on your wish list or at least a good part of it! Not all venues will have everything on your wish list but that does not mean that it will be impossible! A good tip is to find venues on web sites such as TheKnot.com and see their reviews. Vendors pay to be on those web sites but the reviews are given by real clients. The fact that a venue will pay to be listed on a website such as Theknot.com shows that they do care about investing in their clients and the most important you can read about other people’s experiences. This may be tricky but it is extremely important to do in order to set you for success! Sit down and talk about the budget, who will contribute to it and although you may not know exactly how much things costs, you must know how much money you count on. Most people assign an average of $500 per guest on a wedding overall cost, based on a 100 people wedding. It does not matter if you will have a big wedding or a small wedding, believe me you will need a wedding planner! Most of my clients end up saving money by hiring me because I can get better deals for them from vendors, I can help them make smarter decisions, and I can take care of everything for them! It is better to book your wedding planner before making any big decision or signing contracts. 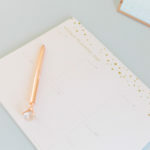 I can guide you on getting started by setting your budget, finding the right venue, negotiating with all vendors, managing your budget, checklist and all planning towards your big day! 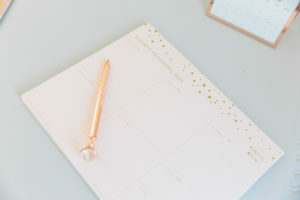 Give yourself 10-12 months to plan and enjoy your wedding planning process and make smart wedding investments from your wedding venue to your wedding planner!